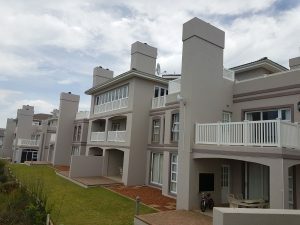 Set on the edge of a magnificent coast, Pinnacle Point Beach and Golf Resort is situated at the gateway to the Garden Route, taking pride of place amongst exclusive neighbouring golf courses such as Fancourt, Pezula, Plettenberg Bay and George Golf Club. 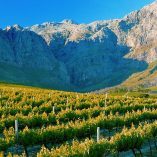 Uniquely defined by two intimate, secluded beaches along four kilometres of spectacular coastline, Pinnacle Point is located on four hundred hectares of prime land, of which one hundred hectares is nature reserve. 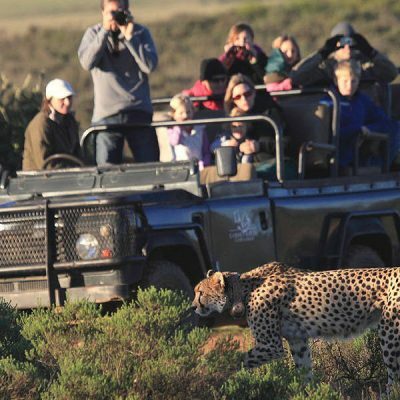 The resort is home to indigenous wildlife, birdlife and 264 varieties of Fynbos – a nature lover’s delight! 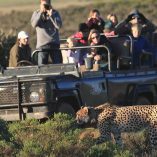 The Pinnacle Point Golf Lodges have been developed with true luxurious living in mind. Drawing inspiration from the beautiful coastal landscape on which Pinnacle Point is situated, the architects have created masterpieces nestled on and around the estate. These homes away from home have been designed to set a new standard in luxury and refinement. This is a superb golfing environment, ranked as one of the top ten new golf resorts in the world. 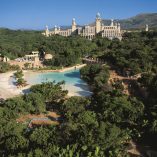 The dramatic scenery, space and superb service combine to undeniably create “the ultimate luxury” resort. 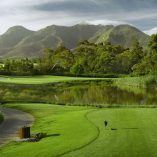 The 120 Pinnacle Point Golf Lodges have been developed with true luxurious living in mind. Drawing inspiration from the beautiful coastal landscape on which Pinnacle Point is situated, the architects have created masterpieces nestled on and around the estate. These homes away from home have been designed to set a new standard in luxury and refinement so be warned, you may never want to leave. 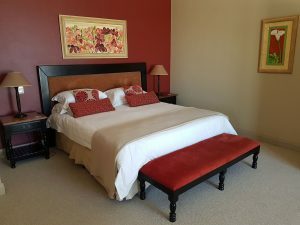 All lodges have television with DSTV, fully equipped kitchen and a braai area with furniture on the outside patio. You can relax on the patio, take a walk through the 400 hectare nature reserve, lounge by the pool or go down to the private estate beach. The Sea Gypsy Cafe specialize in seafood although you may wish to simply enjoy a cocktail while watching the sunset. With its casual setting the Sea Gypsy has built a reputation for surprising first time customers with quality, presentation and portions. With their own farm, the Stonehill Restaurant produce their own organic vegetables and herbs. This ensures that the chefs have the finest ingredients. 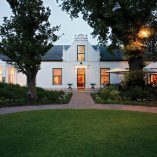 Stonehill strives to be a world-class restaurant offering Provencal and Mediterranean dishes with a modern South African twist. With a spectacular menu and huge variety of traditional Cuban dishes enjoy either lunch or dinner. After dining enjoy a quiet drink in tranquil the cigar lounge with its burning fireplace. For those with a less of an appetite enjoy a tapas with a Cuban cocktail out on the wooden deck.